If you enjoy being on the open road, traveling across country and have job security, you may be interested in obtaining your commercial driver’s license. Getting your CDL could open many good-paying jobs and with the burgeoning economy, the need for truck drivers is expected to increase. 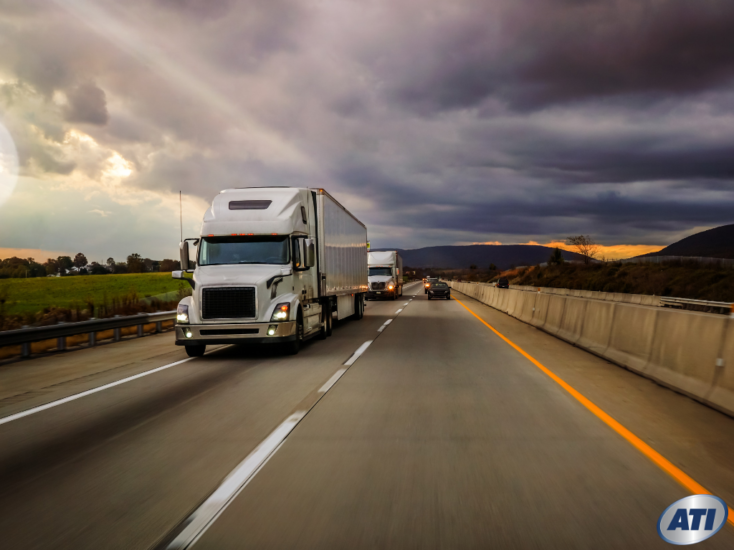 According to Bob Costell, the chief economist for the American Trucking Association, the industry is booming, due in part to strong online sales, with no anticipation of a slowdown in sight. This means the need for qualified drivers will only increase. Before you get your CDL there are a few things you need to know. First, each state has their own requirements, so you will need to research the requirements of the state you plan to be certified in. You must be 19 to get in intrastate CDL and 21 for a CDL. You need to have proof of identity like a license and social security card. You will need to meet motor carrier safety regulations including a medical examiner’s certificate stating you are in good health. You will have to pass a state-approved drivers’ program and have a commercial drivers learner’s permit. Those driving hazardous materials must be fingerprinted and have a HAZMAT background check. The duration of your CDL in Virginia is eight years and expires on your birthday. You will have to have a vision screening, CDL exam, road sills test and two-part knowledge exam. What Will Prevent You from Getting Your CDL? Getting your CDL can lead to a great career, but not everyone is eligible to get one. If you’re considering getting your CDL, your background will be scrutinized as commercial drivers held to a very high-standard. The Federal Motor Carrier Safety Administration (FMCSA) has very strict rules and regulations that must be abided with, in order to keep your CDL in good standing. Excessive speeding violations (violations committed in a personal vehicle are excluded). Leaving the scene of an accident before being dismissed by a police officer. Blood alcohol levels exceeding 0.04. Those using a commercial vehicle while committing of felony. Felons: Felons can get a CDL, but only under specific circumstances. The trucking industry continues to evolve. If you look at the driver of the big rig on the highway next to you, you may see more women behind the wheel as well as a more “seasoned” drivers. Women make up just 6% of truck drivers, but that number is up about 4.5% from 2010, reported CBS. Many of the leading trucking companies like Swift Transportation, Covenant Transportation and Schneider are looking to hire more women. Women are attracted to trucking because there is generally no difference in pay between male and female drivers as pay is determined by mileage or load. Many couples have found that by driving together, they can keep their truck on the road nearly 24/7 by sharing the driving duties. Some industry experts think the answer to the driver shortage is in driverless cars, but a study by Uber dispelled this idea stating driverless trucks cannot maneuver crowded city streets, complex loading docks, and busy facilities. The fact is, there is a shortage of truck drivers, so those looking for a position with job security, should consider getting their CDL. Formal training is important for those looking for a career as a truck driver. You will get training in local and over-the-road driving, which prepares you for the different scenarios you may encounter on the road. The program should also help you walk through daily life as a trucker, answer any questions you may have, and help you study for the CDL exam. 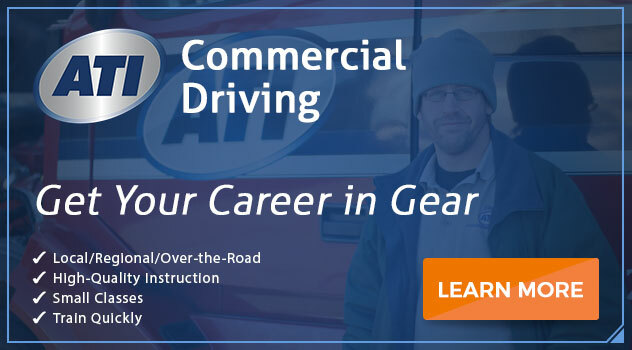 If you want to learn more about Tractor-Trailer Driving and earn a CDL license, consider ATI for the education and support you need. For more information on this exciting opportunity, connect with a helpful admissions advisor today. If life on the road calls to you, today should be the day you answer that call. Previous PostWhat Schooling Do You Need to be a Heavy Duty Mechanic in Virginia? Next PostReasons For Truck Driver Shortage: How It Impacts You and how You Can Help!